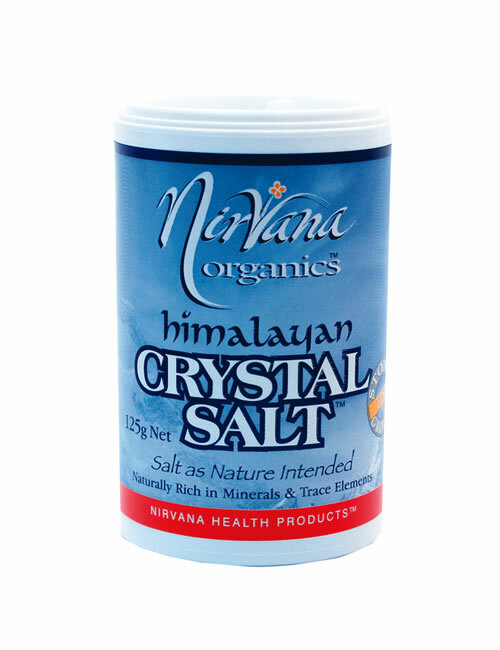 Nirvana Health Products - Australian Manufacturers & Producers for over 15 years! 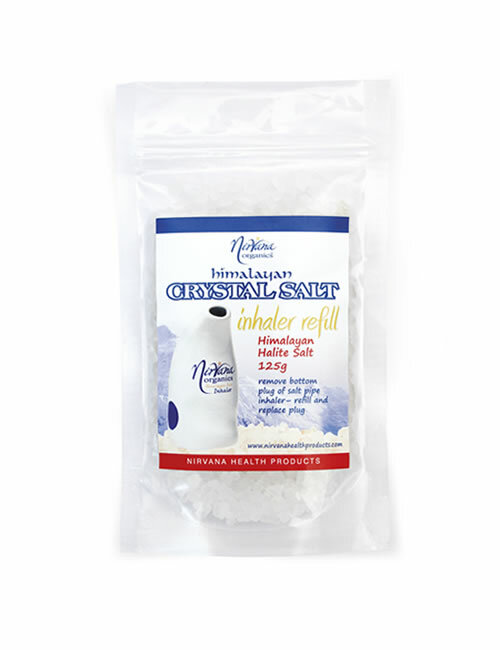 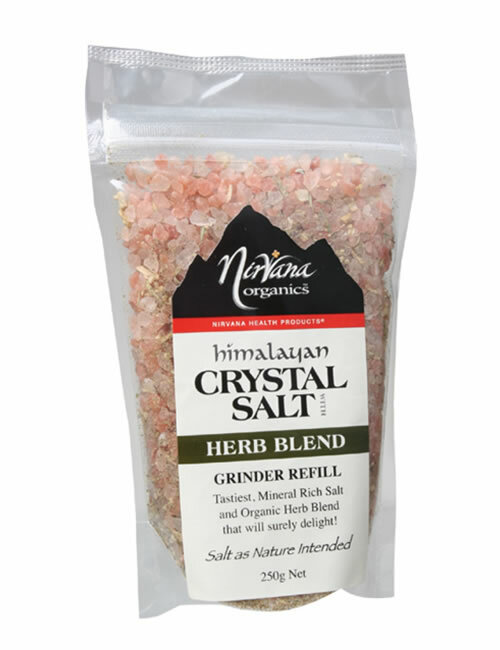 Himalayan Crystal Salt, Organic Peppercorn & Herb Himalayan Salt Grinders, Stone Ground Salt– Fine, Medium and Granules, Sole salt chunks, Salt Pipe Inhaler and Detox Bath Soaks. 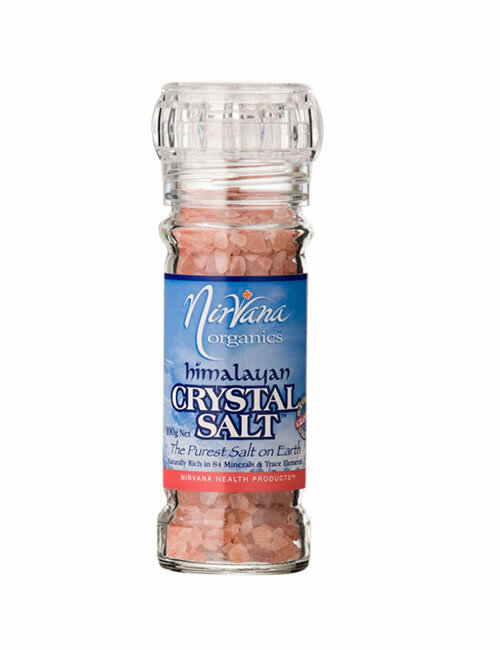 Nirvana Health Products has an extensive collection of Himalayan crystal salt available for purchase at our online store. Also known as Himalayan pink salt due to its distinctive colour, this particular salt is considered by many to have health benefits. 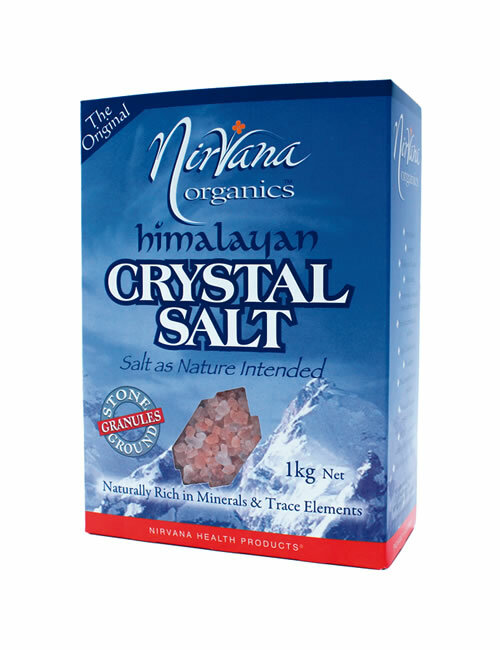 This is due to it being renowned to contain high level of minerals and trace elements. As one of Australia’s leading distributors of this wonderful product, we have an awesome range of rock salt products that will not only provide numerous health benefits but will also make your food taste fantastic. 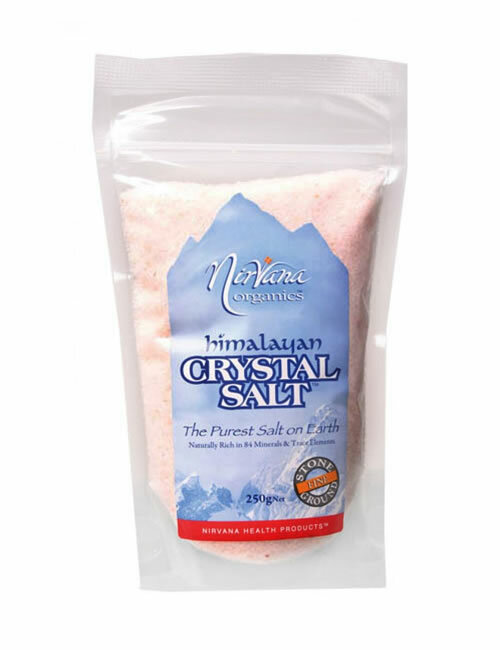 Buy pink Himalayan sea salt at the Nirvana Health Products online store and receive super-fast delivery throughout Australia. 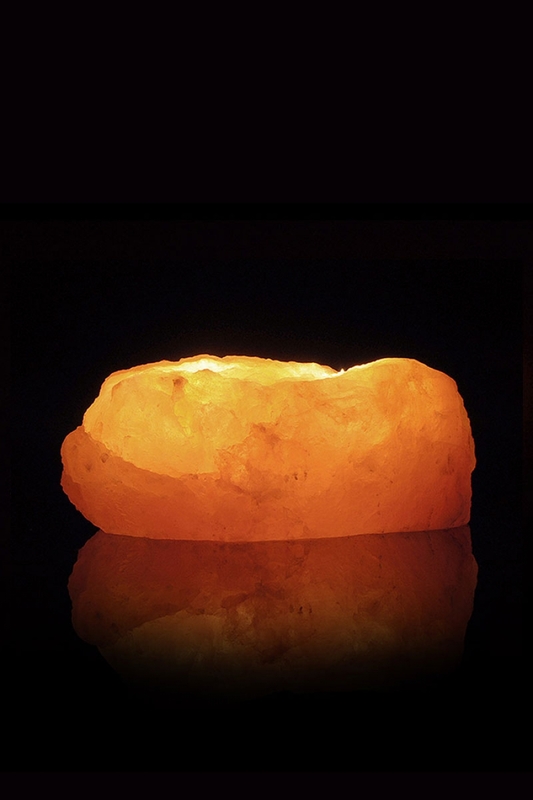 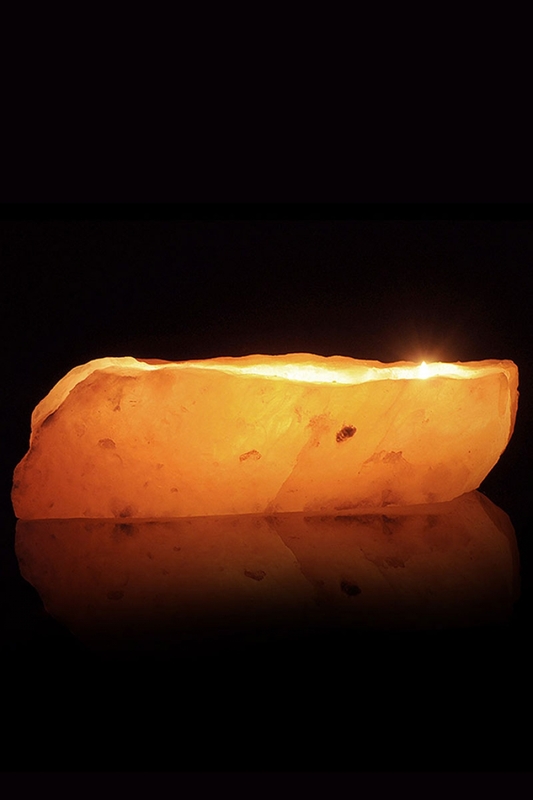 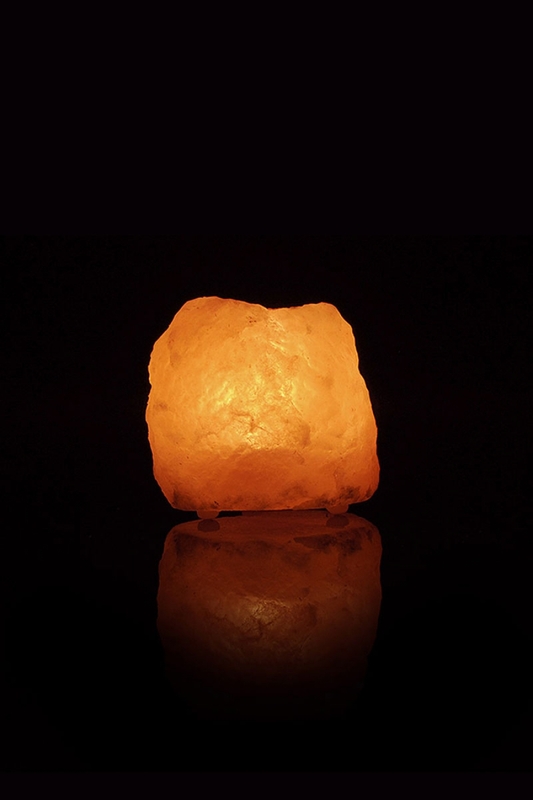 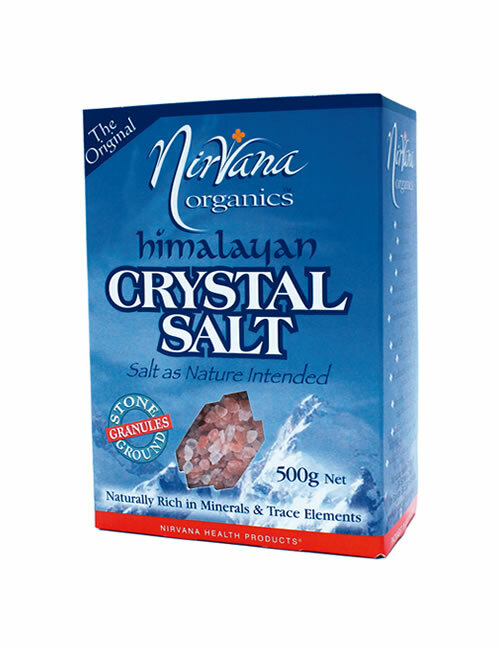 Why Nirvana Himalayan Crystal Salt is considered the BEST! 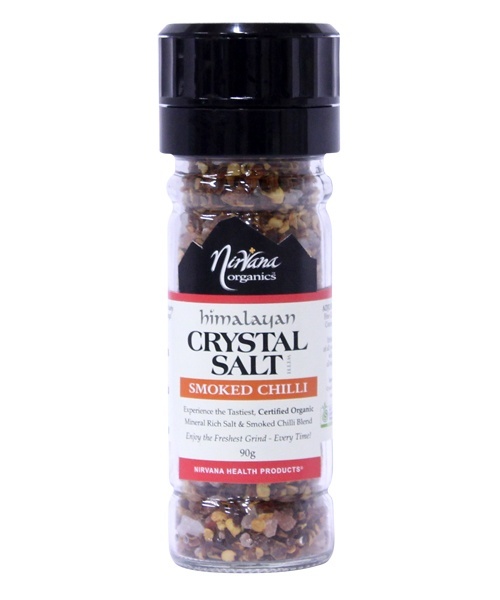 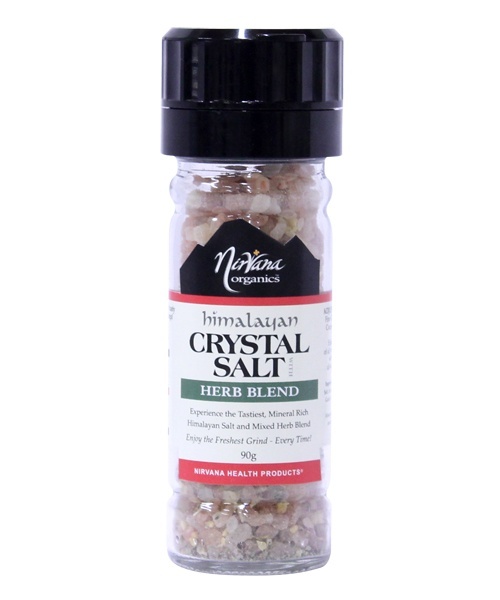 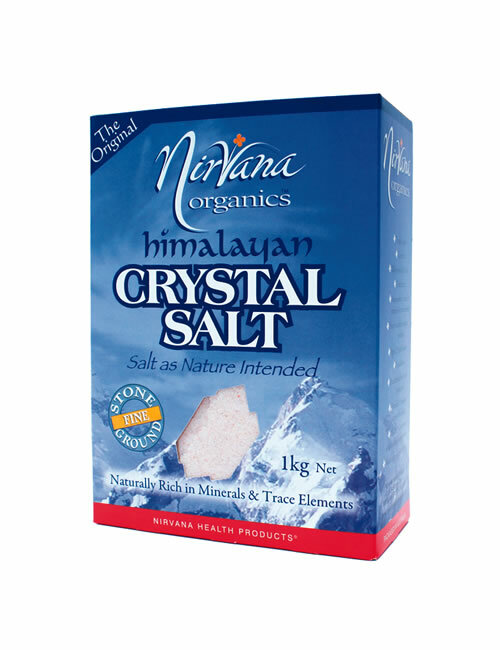 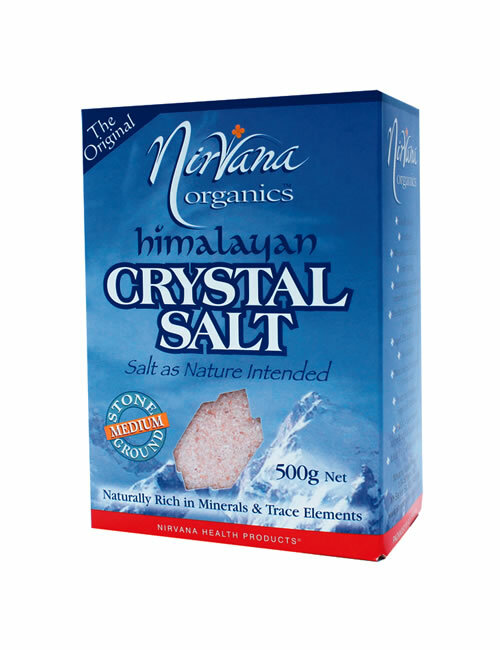 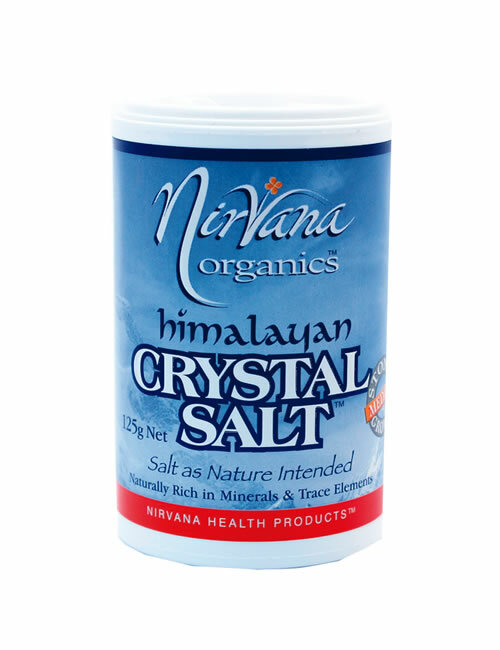 Nirvana Organics® Himalayan Crystal Salt is sourced from deep within the Himalayan mountain foothills – not salt lakes. 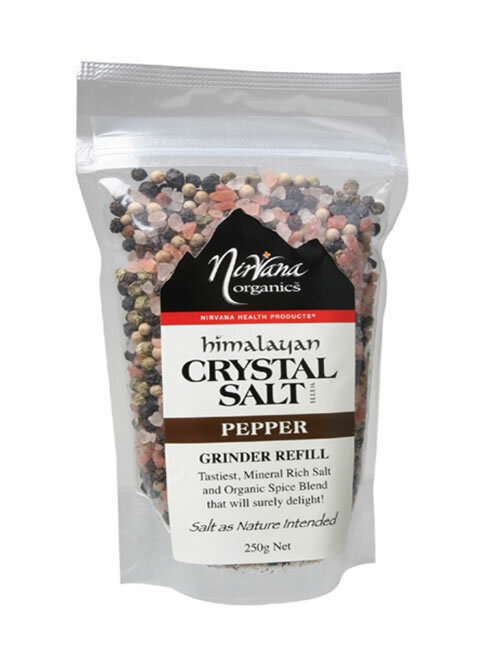 It is hand mined, hand sorted and magnetically screened and packed in our own HACCP (hazard analysis and critical control points) accredited premises in Australia. The herb and spice blends give a depth and complexity to your dishes and the Himalayan Crystal Salt Packs can be used to refill salt shakers or used straight from the pack. 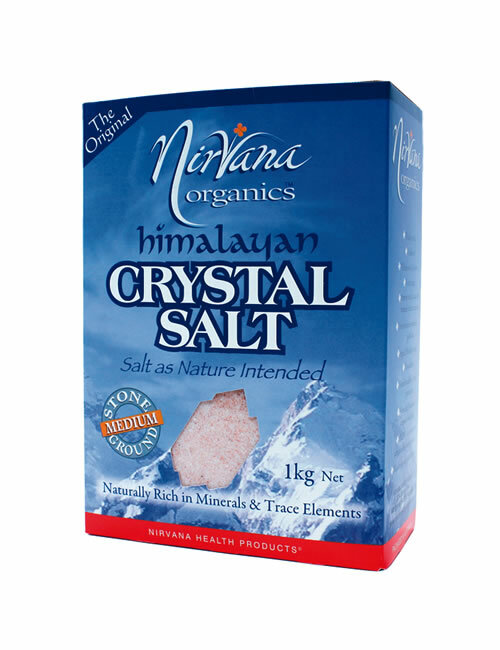 Whichever type you buy from Nirvana Organics, you can remain confident that you will receive a quality, healthy and delicious product. 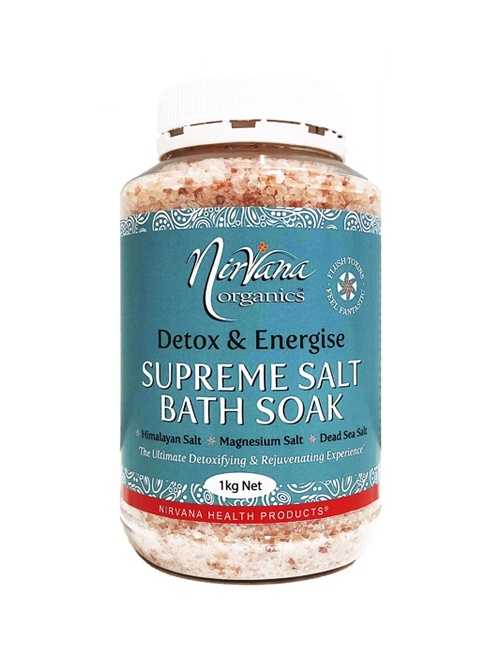 Feel free to check out some of the other salt products, including Sassi Salts and Aromatherapy Salts, available for purchase at our online store. 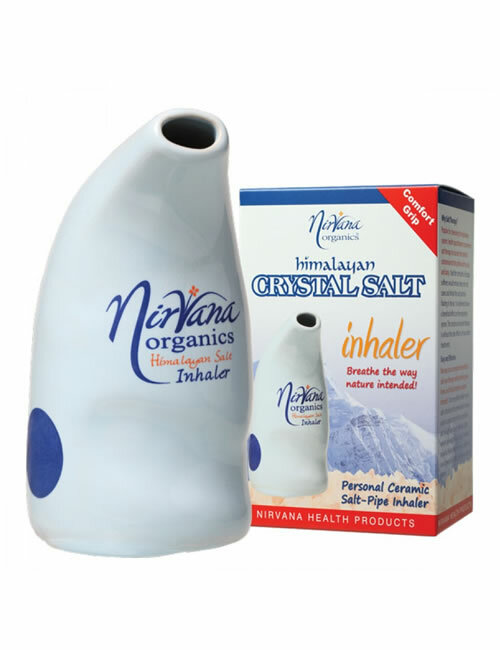 They too carry a range of health benefits that you will soon be able to notice for yourself! For any questions, you can call us on 1300 66 99 82 and we’ll be happy to help! 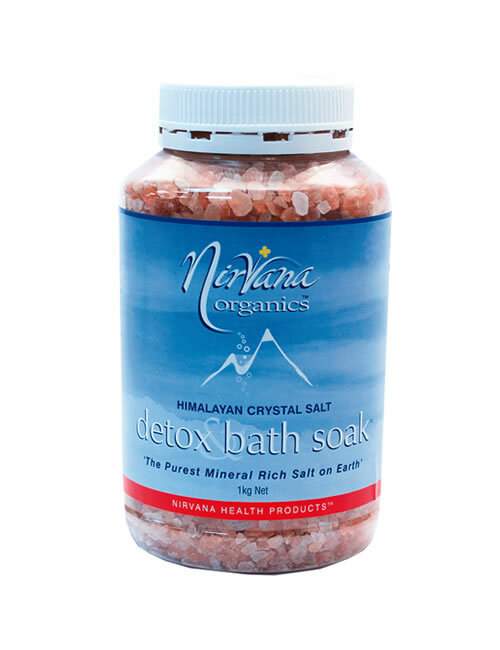 Nirvana Health Products® is home to some of the highest quality, natural products on the market. 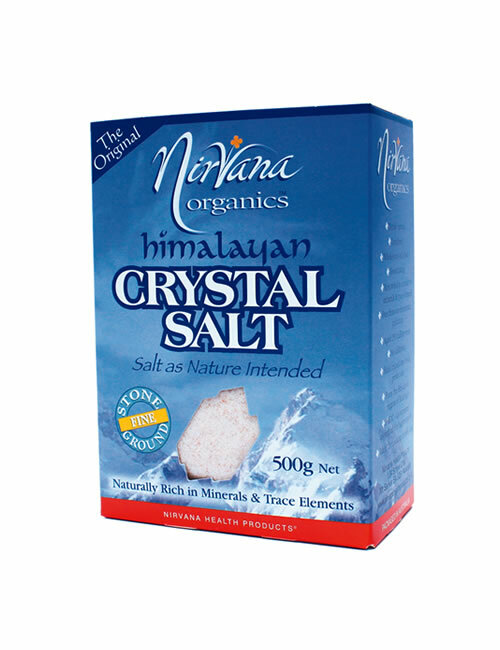 We specialise in all-natural sweeteners - “great tasting healthy sugar substitutes” - and the healthiest salt on earth, and are sure to have the perfect product for you!